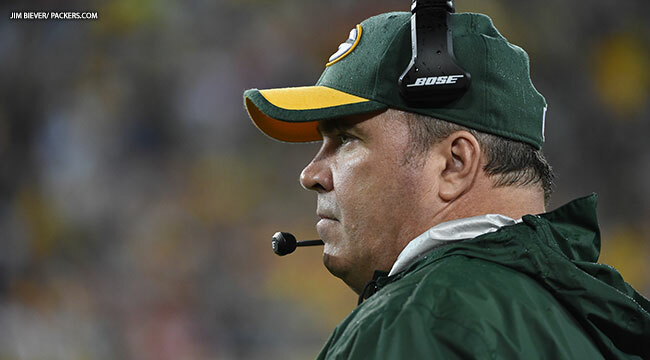 GREEN BAY — Mike McCarthy was direct in his answers to questions from the media. “At the end of the day, it’s about winning the game. Lord knows, we haven’t won a game in a while,” the Packers head coach said on Monday, a day after the Packers lost in Carolina, 37-29. Eddie Lacy, who left Sunday’s game with a groin injury? “Eddie Lacy went through the workouts. So far so good. He did a full workout today,” McCarthy said. The running game and run defense? “Our pass protection was not where it needed to be. The quarterback was hit way too many times. That’s disappointing in your eighth game,” McCarthy said. His thoughts on a sideline scuffle between defensive players, including Ha Ha Clinton-Dix, B.J. Raji and Julius Peppers. “I didn’t even talk about it. We had enough to talk about. I have zero concerns about it. A part of me likes it. It shows our players care. I know what they showed on TV, but I know all of what went on. We played better after it,” McCarthy said. The play of rookie linebacker Jake Ryan, who led the Packers in tackles? McCarthy finished his press conference by confirming all of the team’s players and coaches were in a foul mood on Monday, as a result of Sunday’s performance.